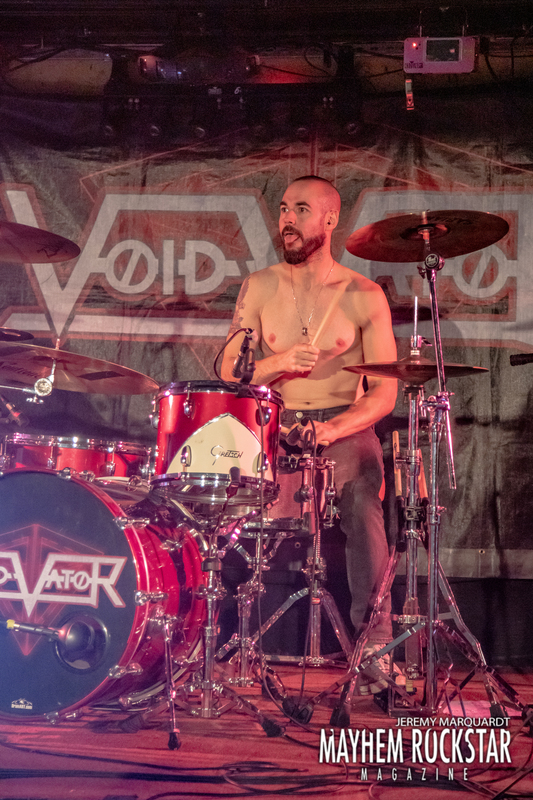 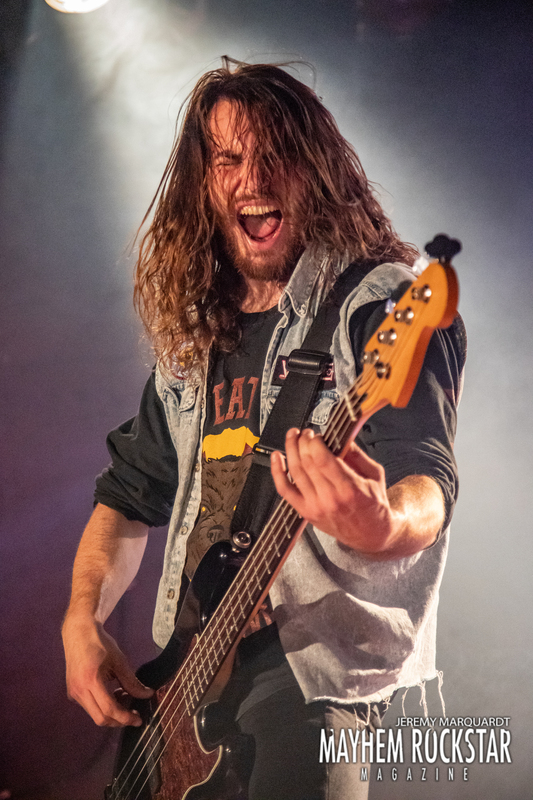 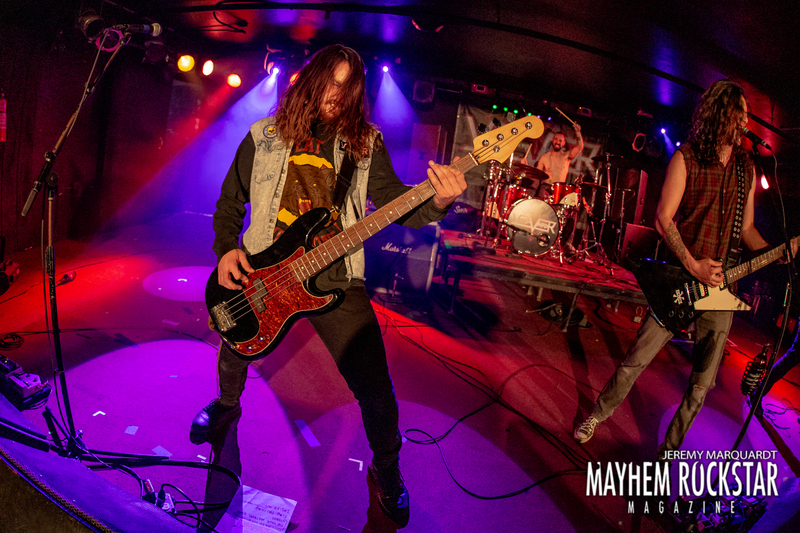 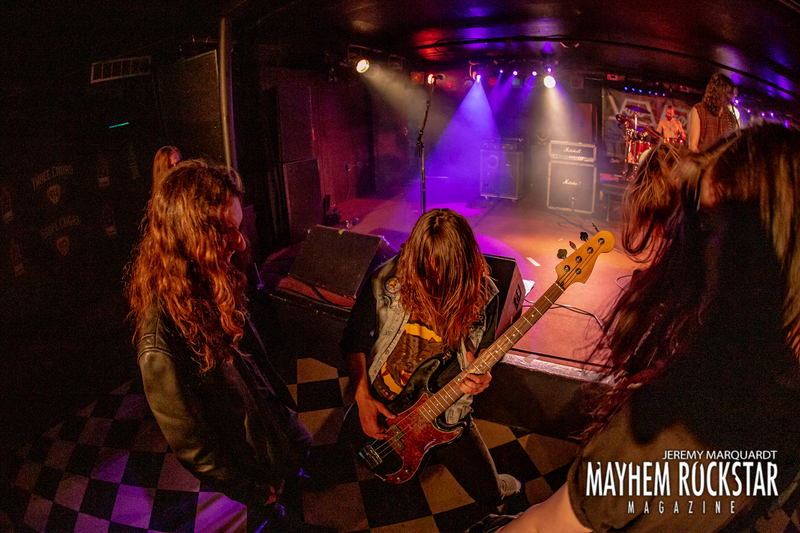 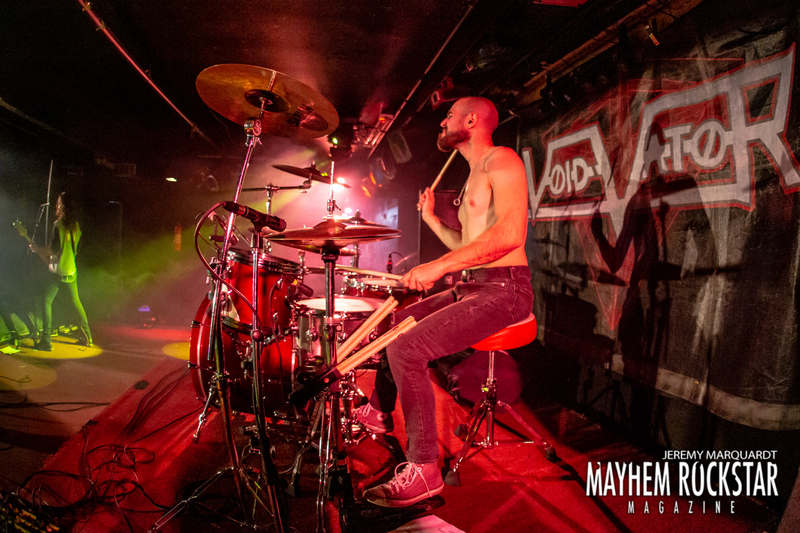 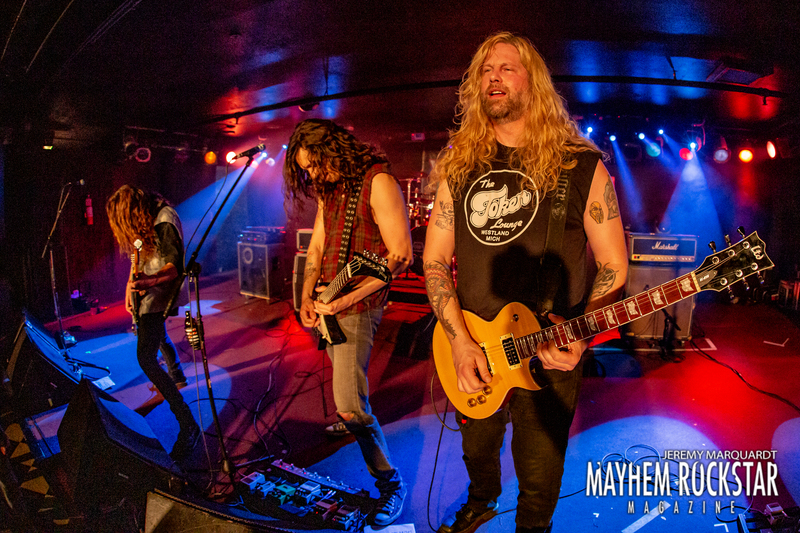 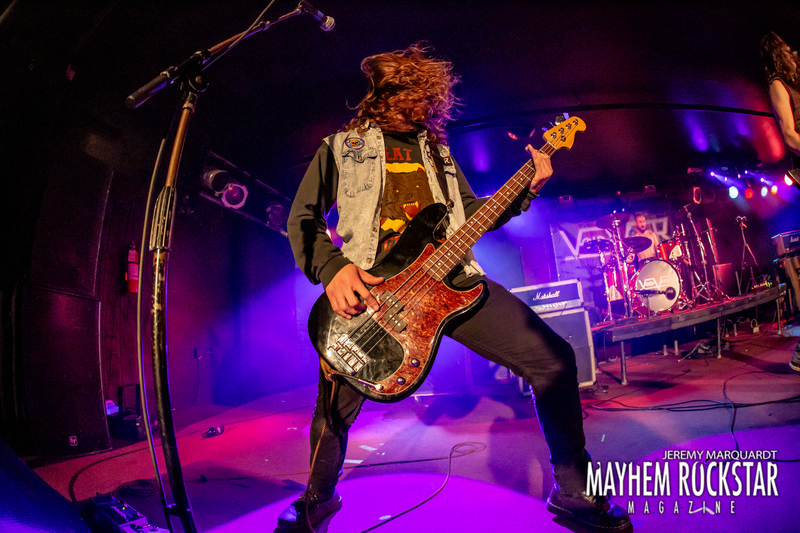 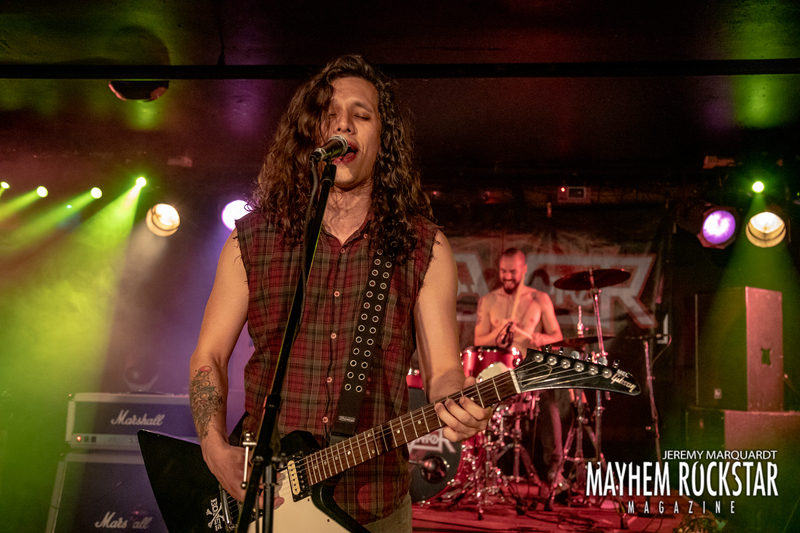 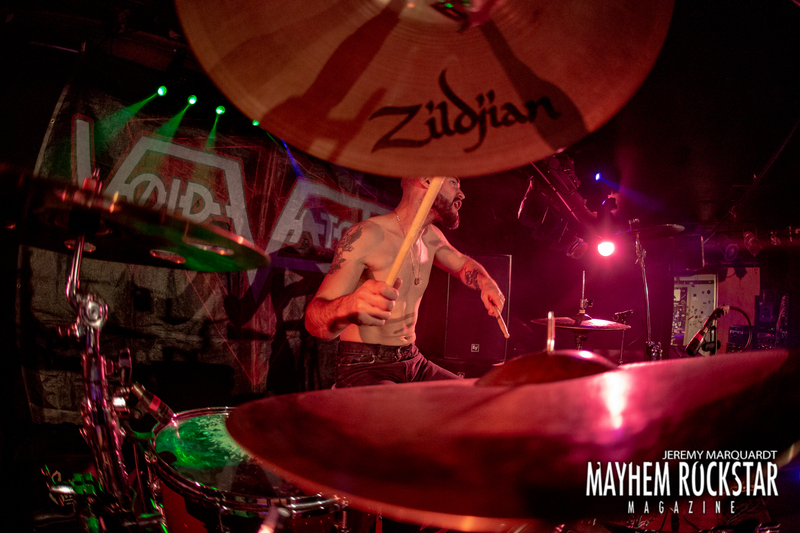 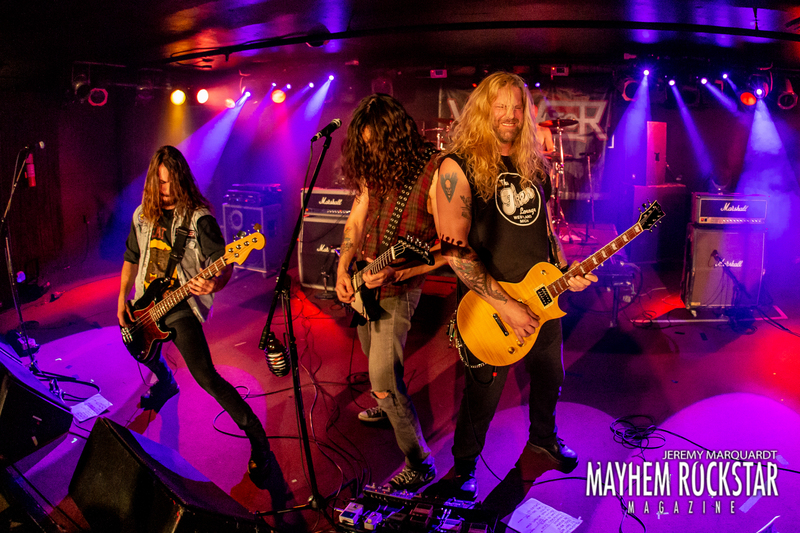 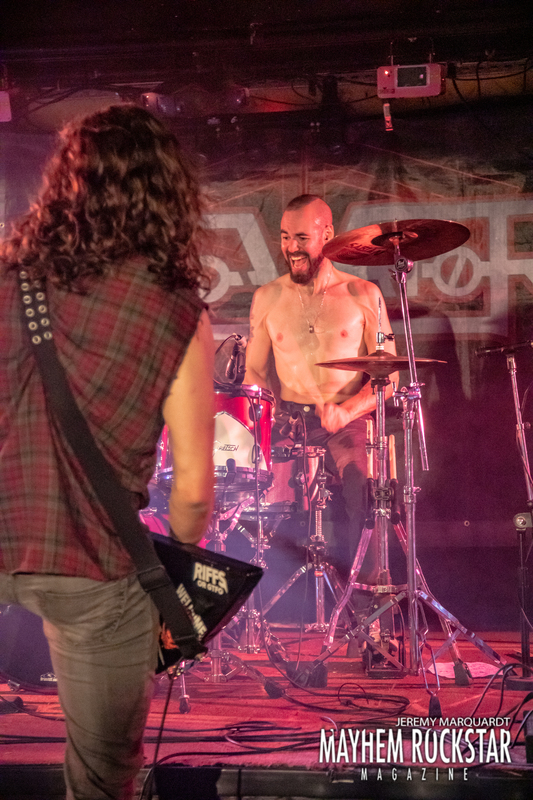 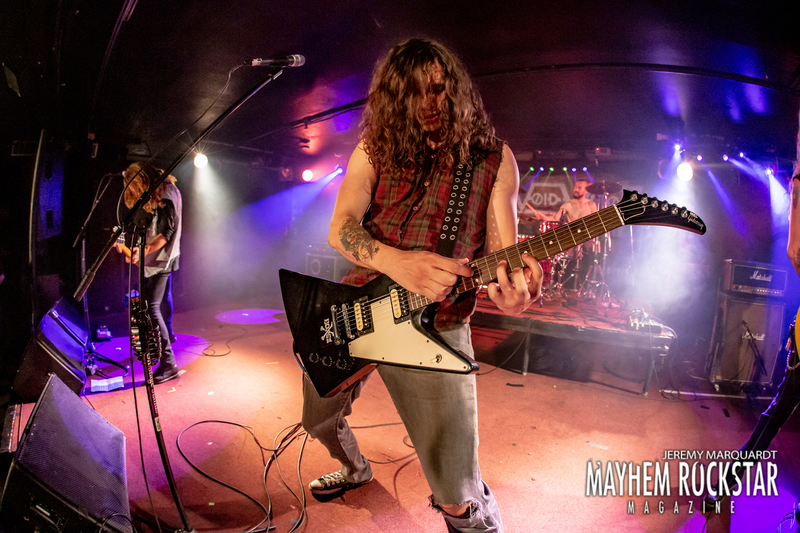 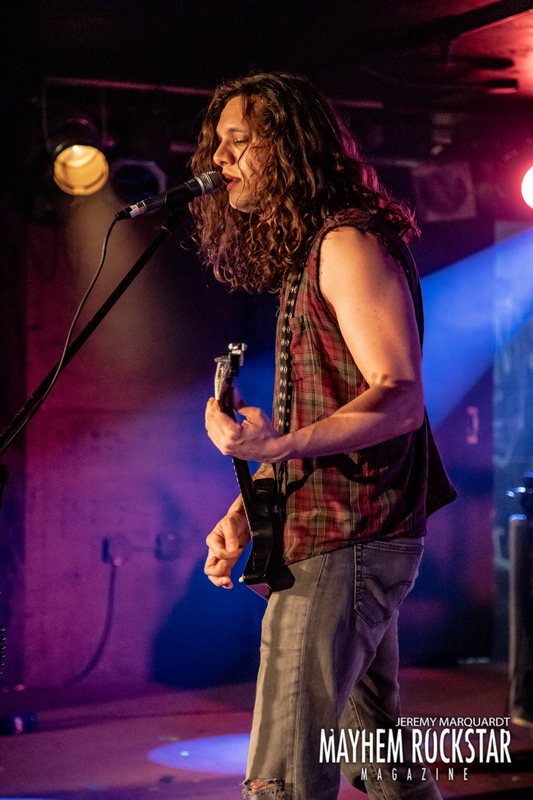 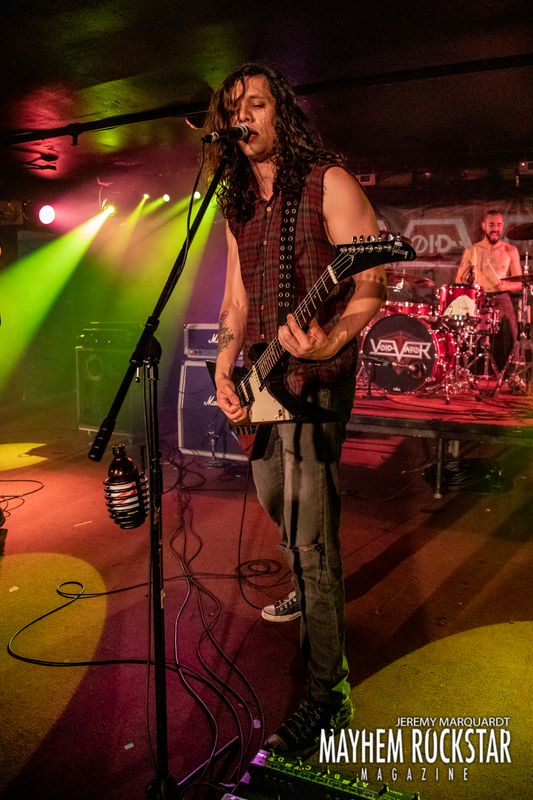 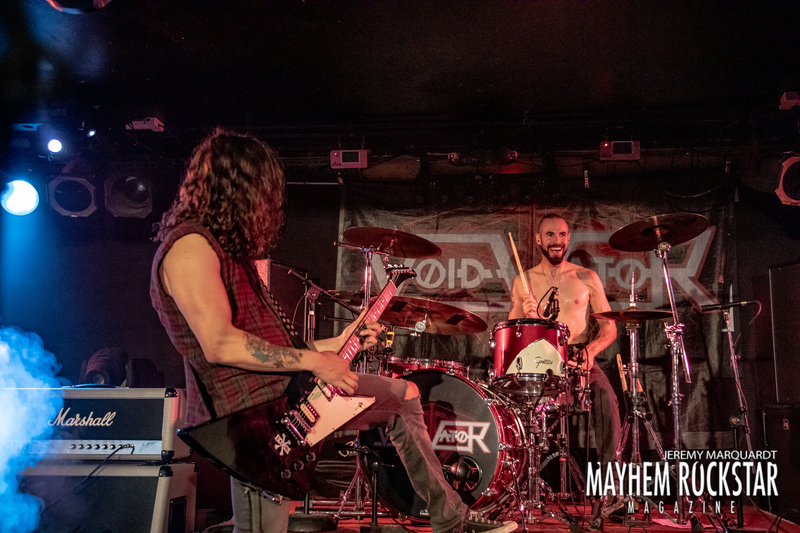 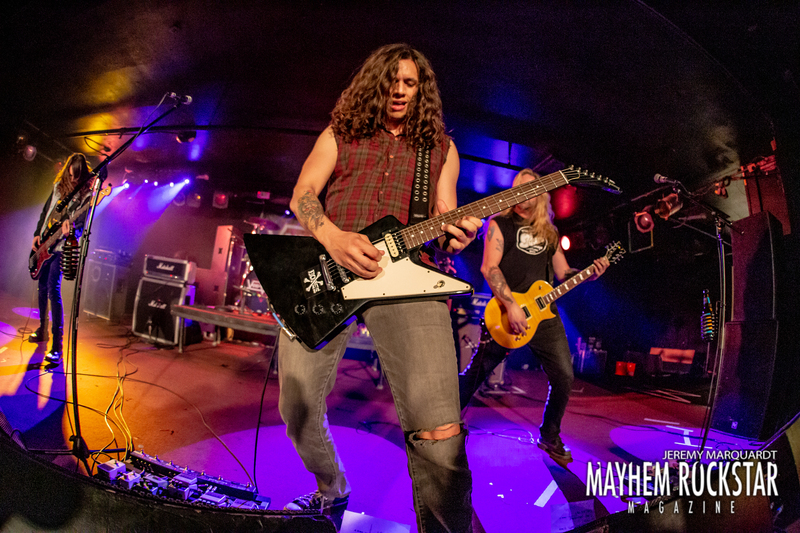 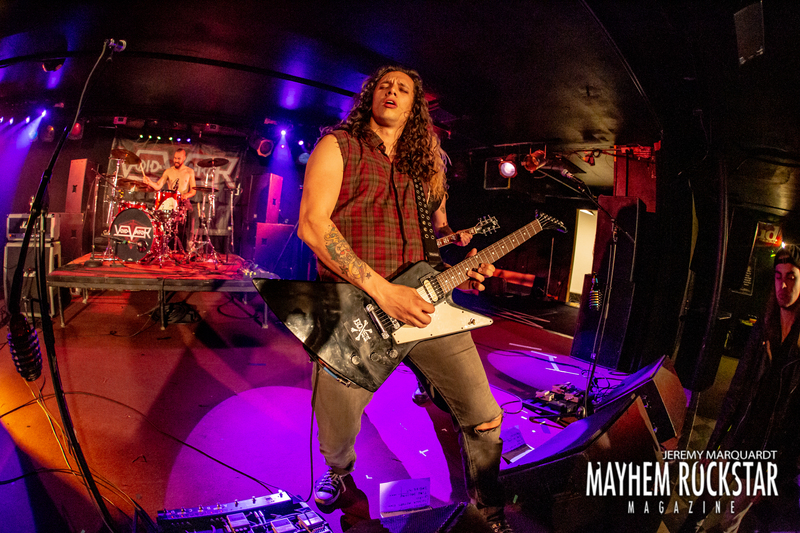 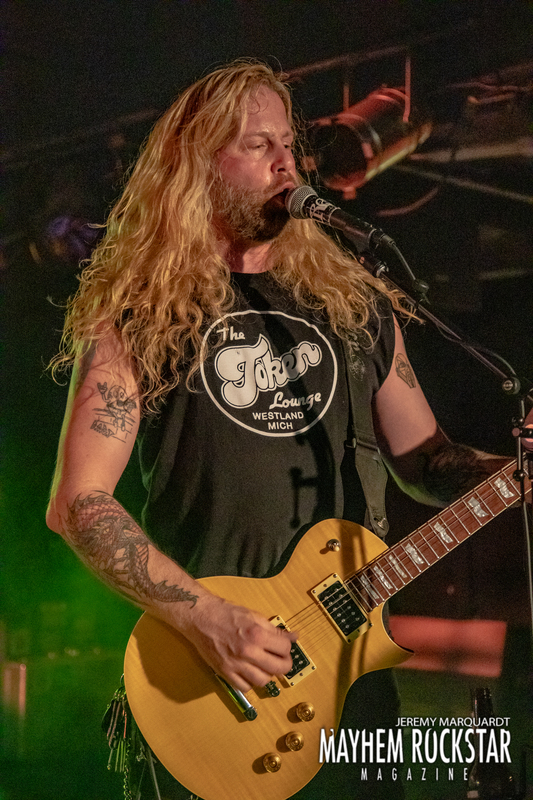 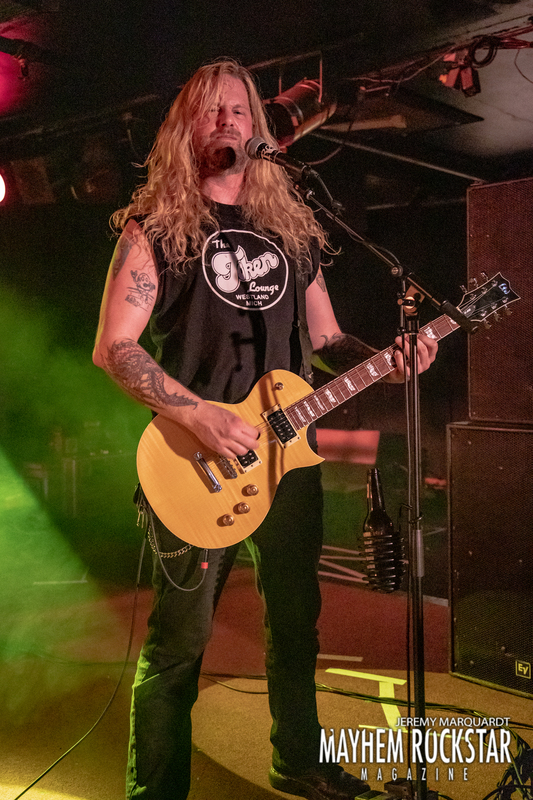 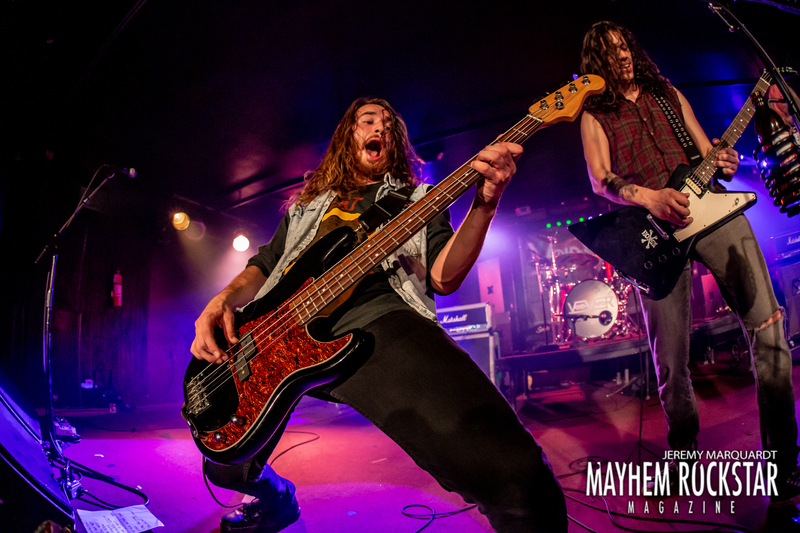 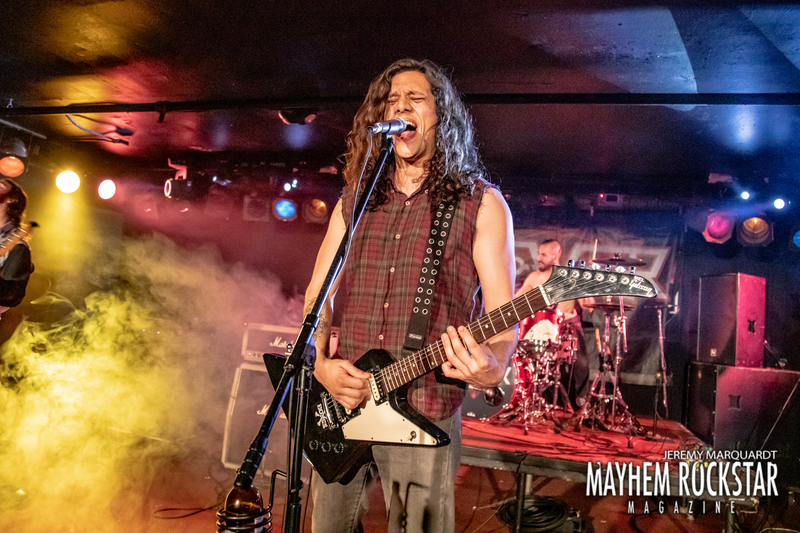 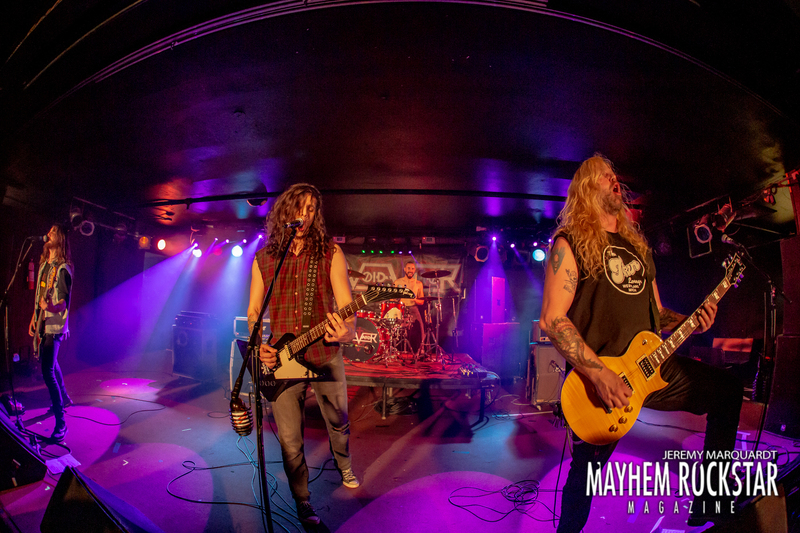 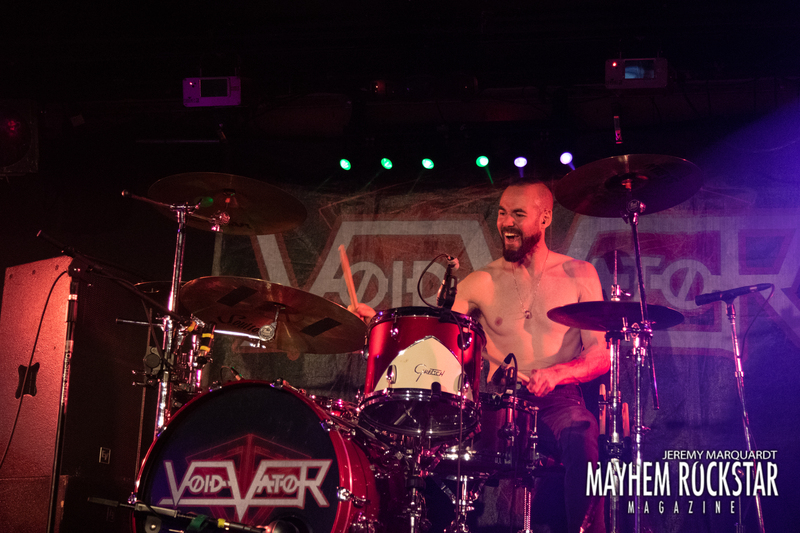 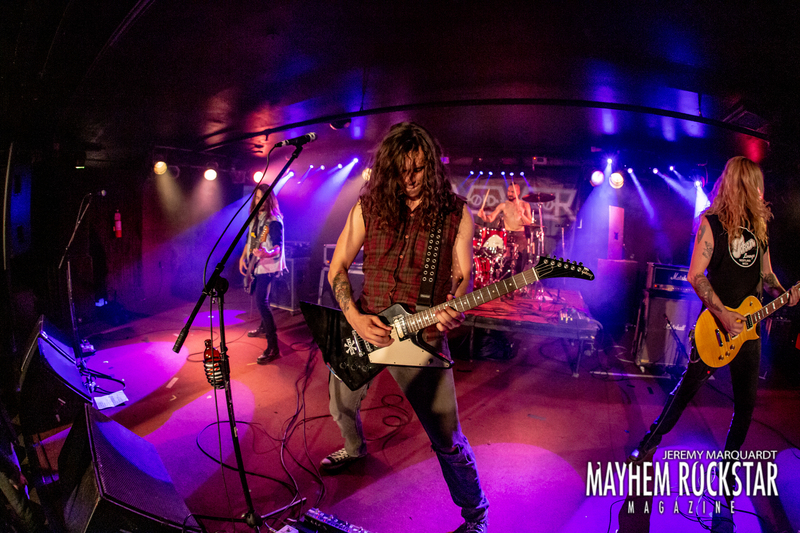 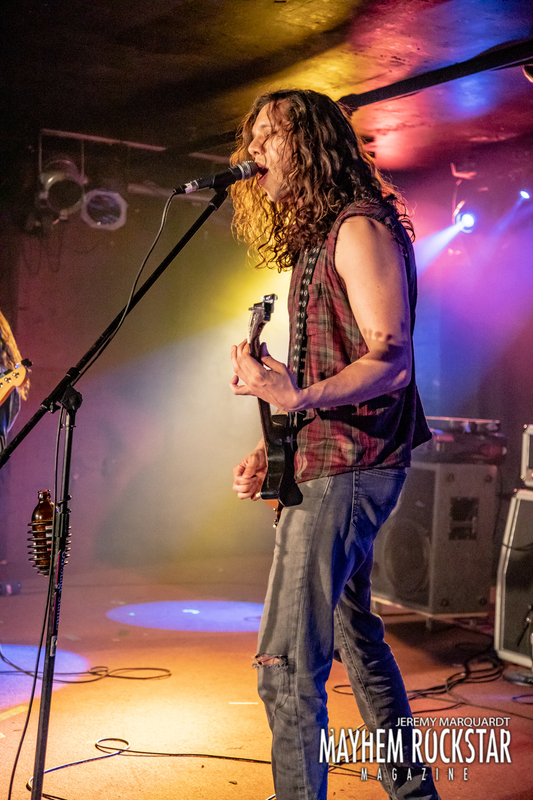 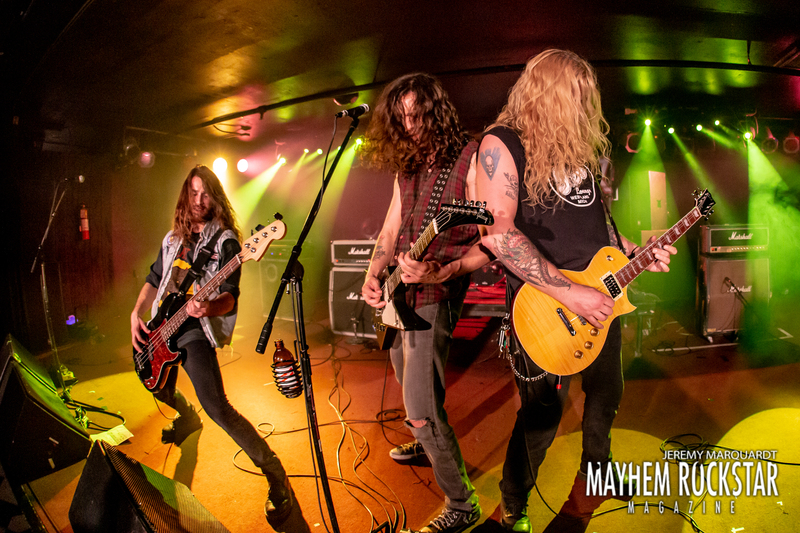 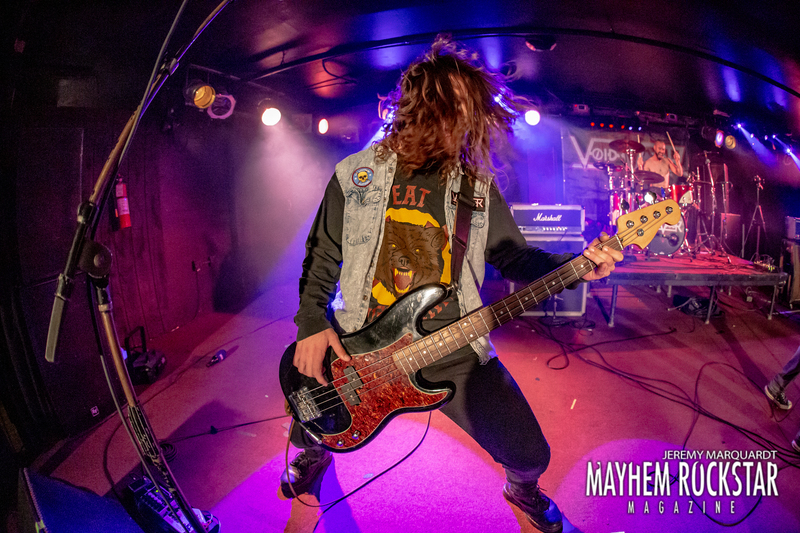 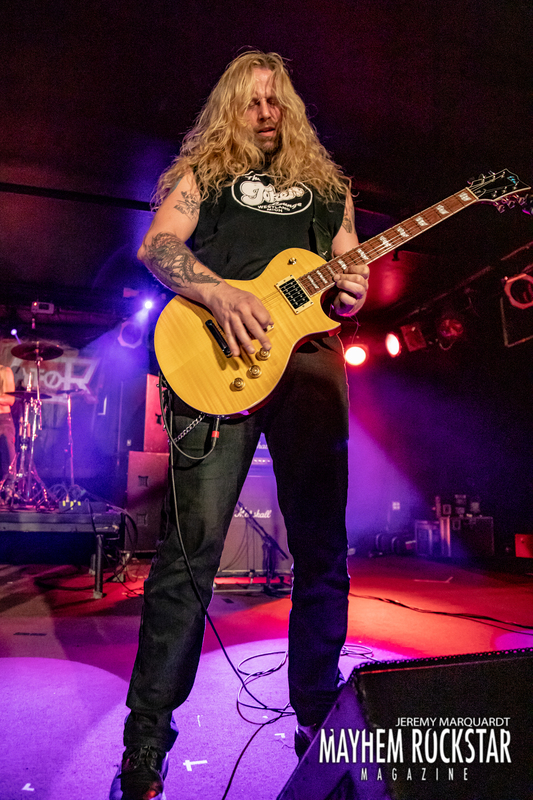 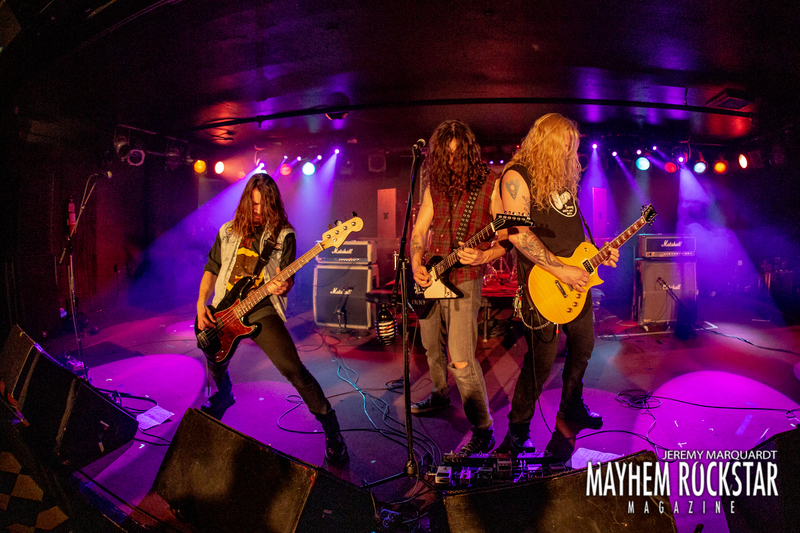 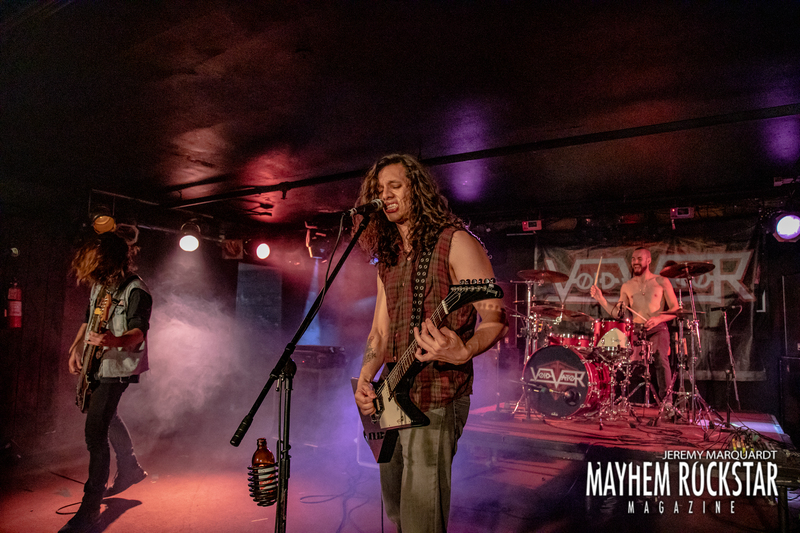 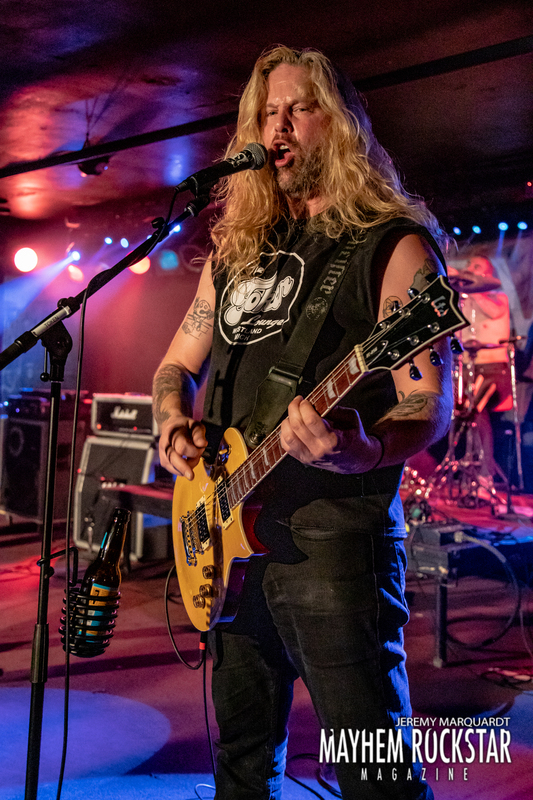 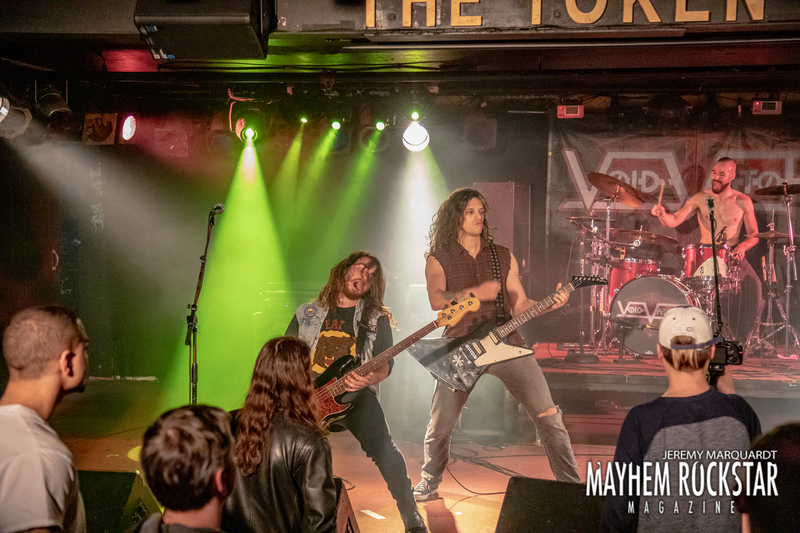 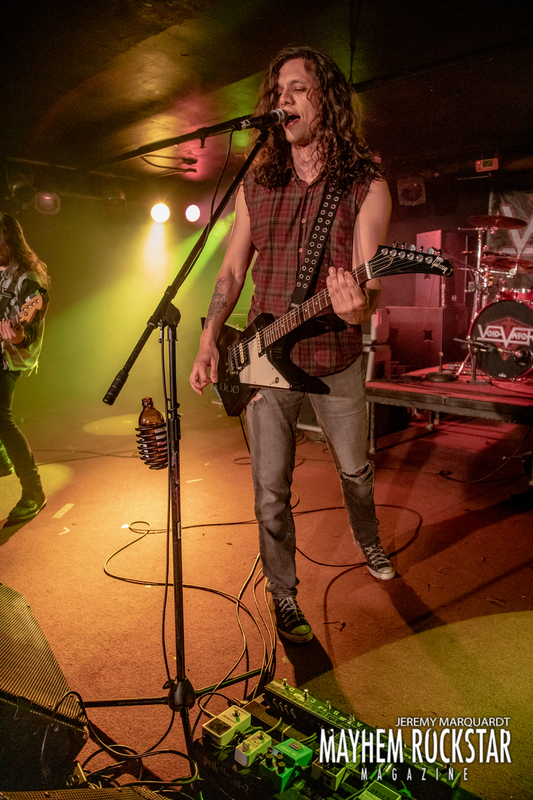 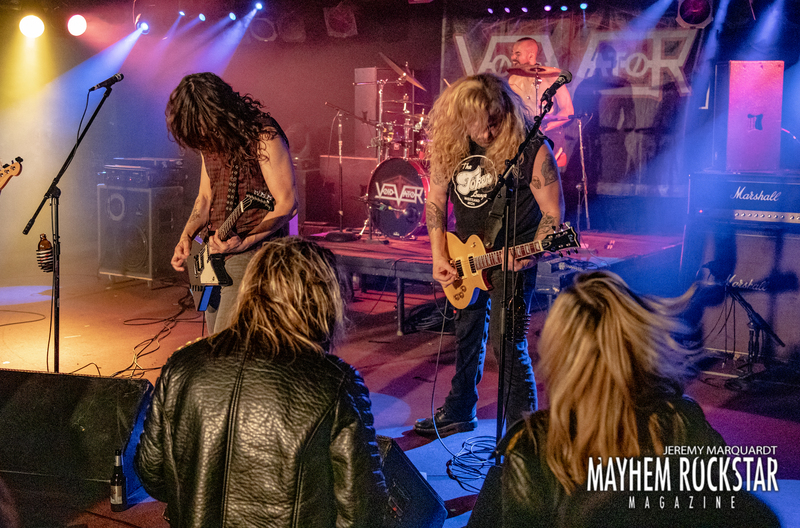 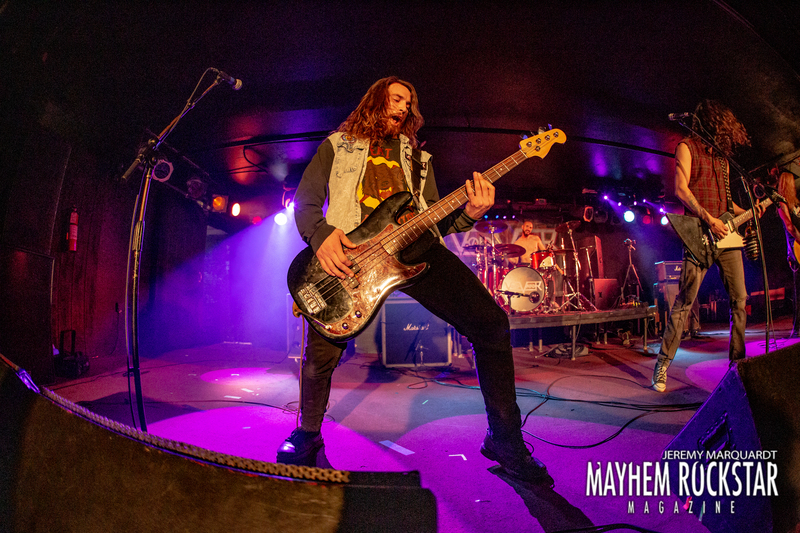 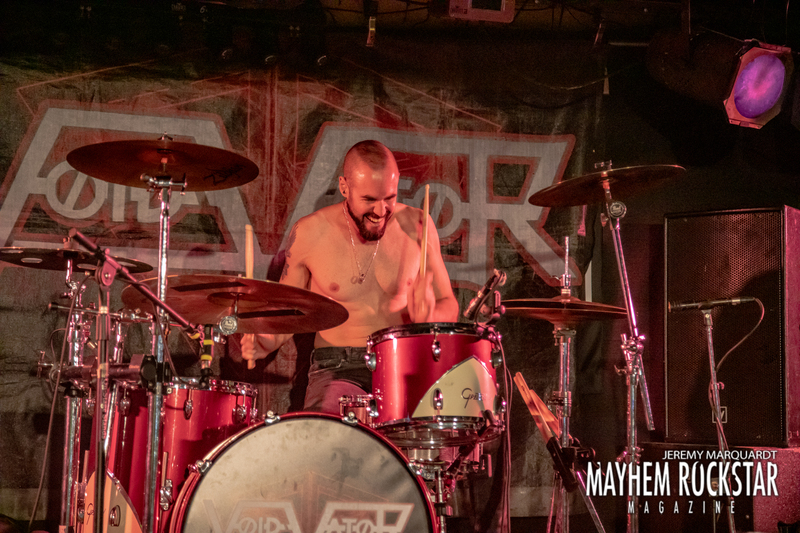 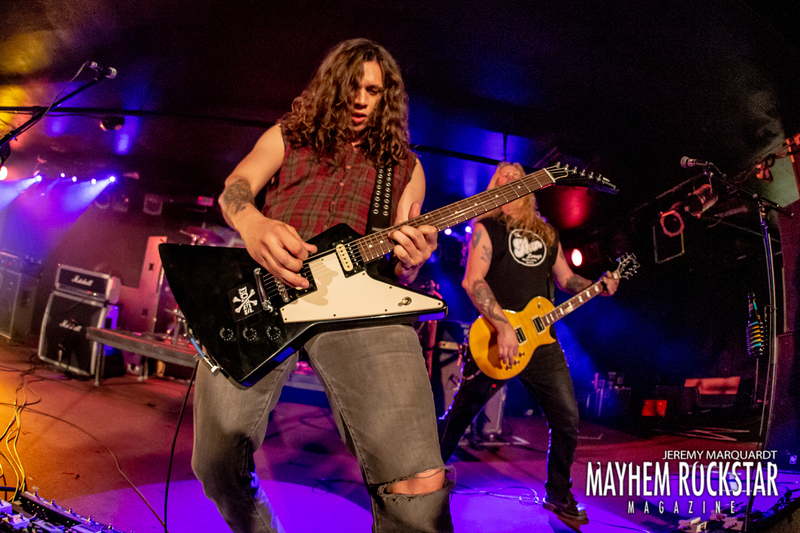 From Los Angeles, California, VOID VATOR brought their SKELETON CREW Spring Tour 2019 to Westland, Michigan on Wednesday April 3rd 2019. 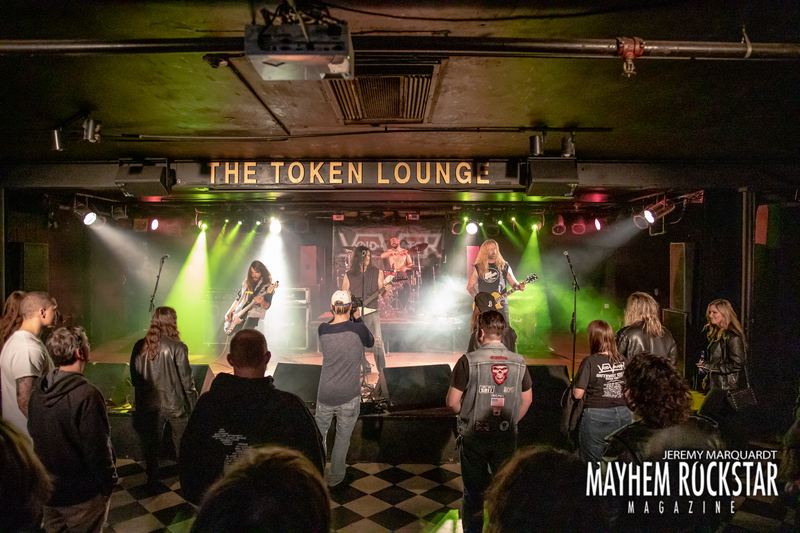 The venue was the legendary Token Lounge, Known for the amazing staff and facility. 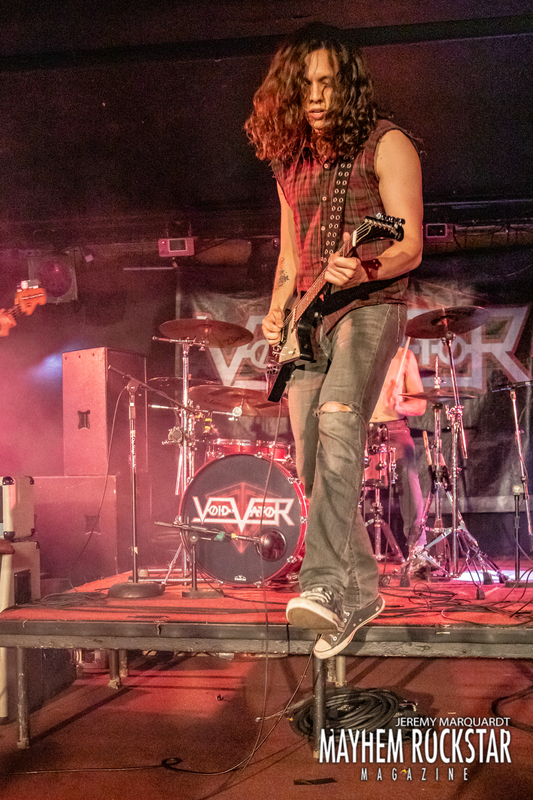 If you haven’t heard VOID VATOR yet I would suggest you start with the track “No Return”. 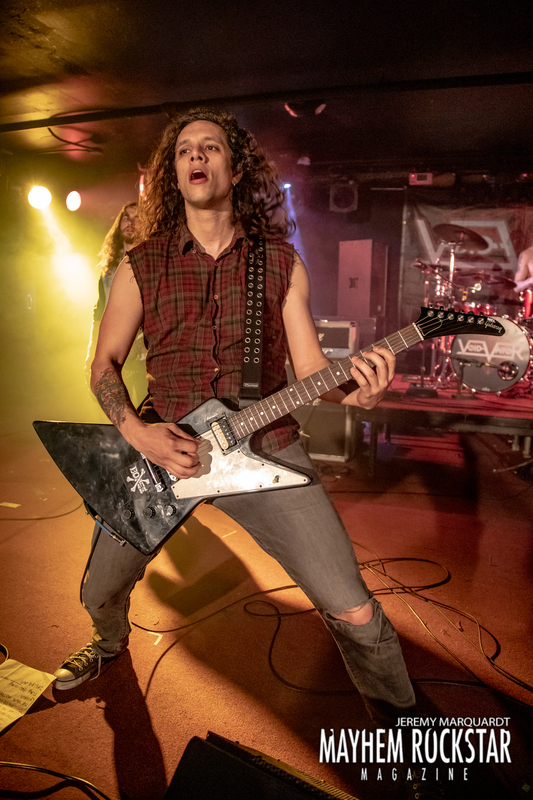 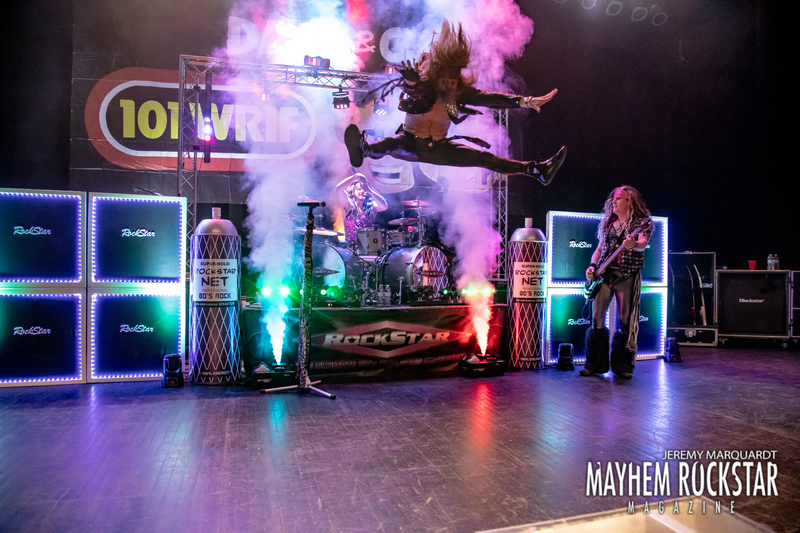 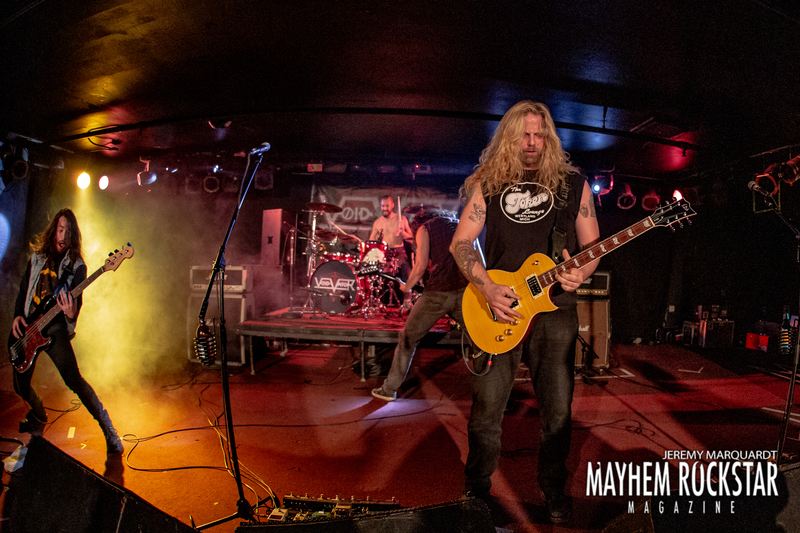 They are a mix of in your face hard rock with Guitarist / Singer Lucas Kanopa playing amazing Dimebag Darrell like leads while providing soulful vocals. 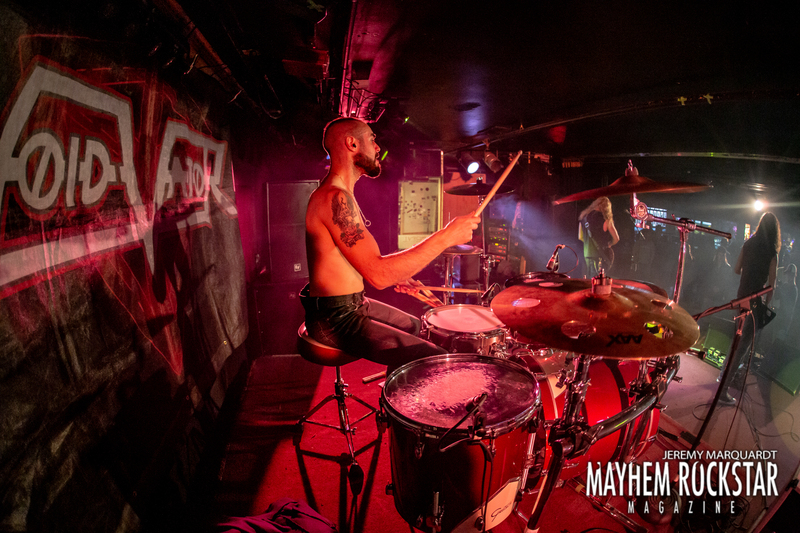 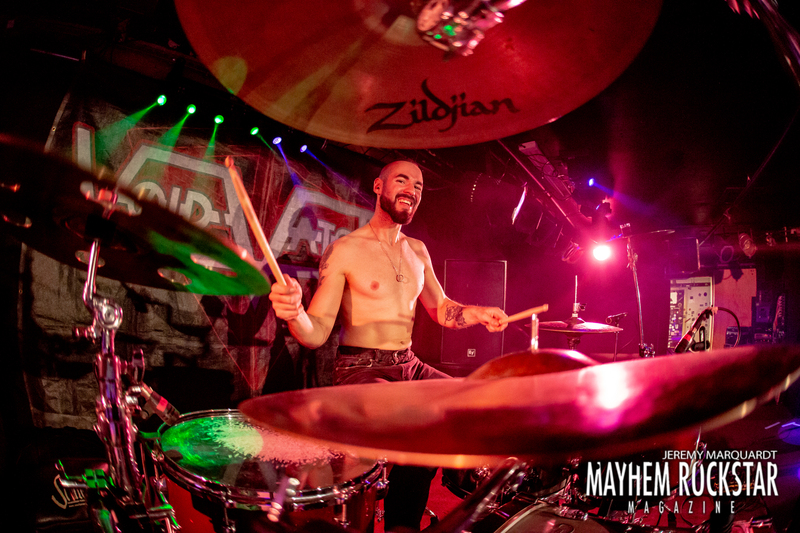 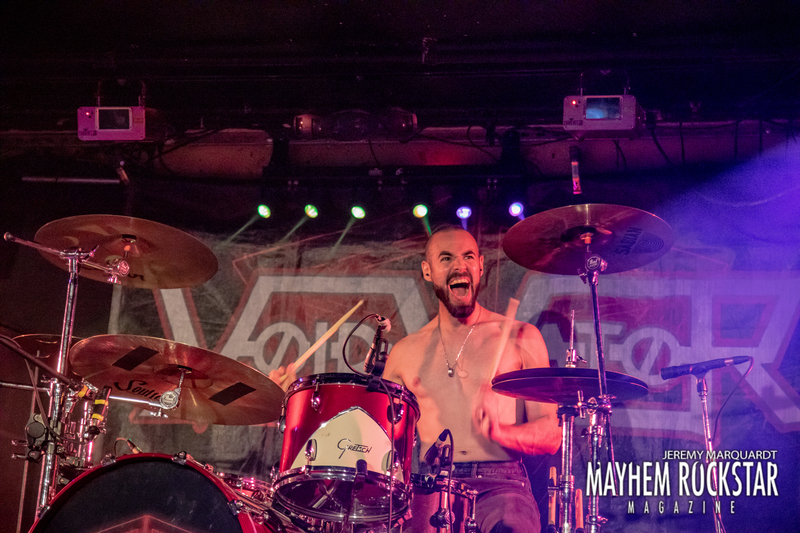 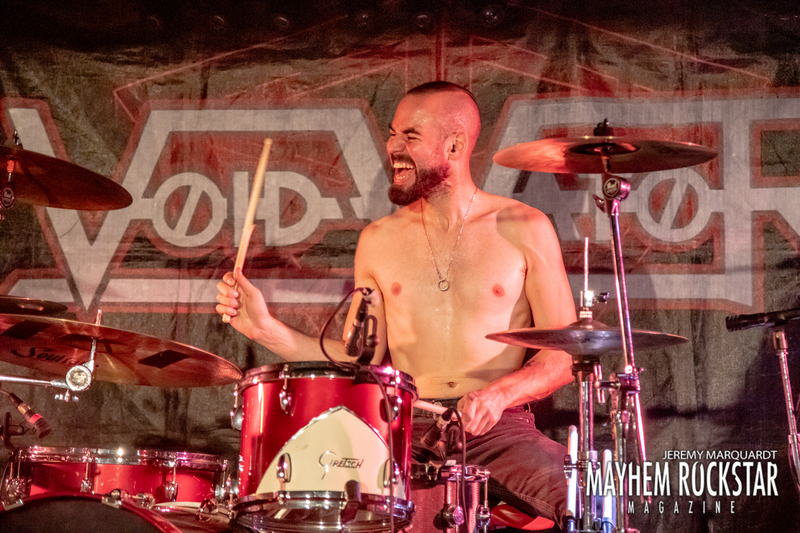 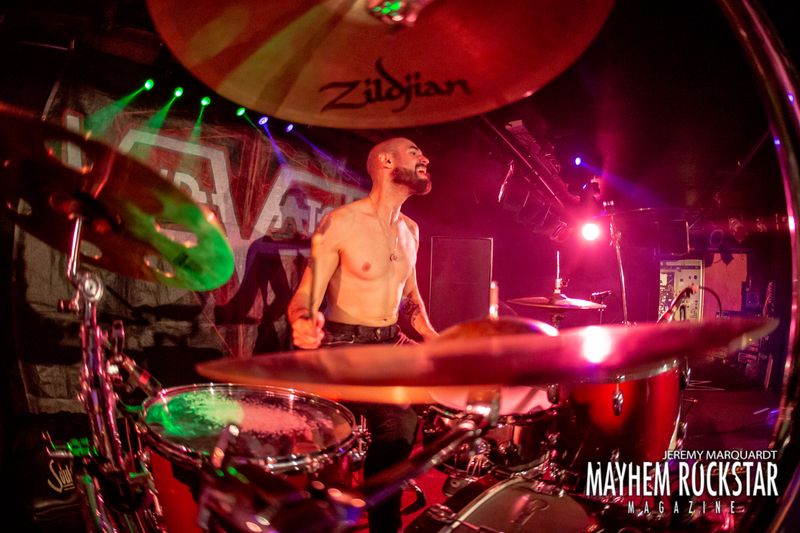 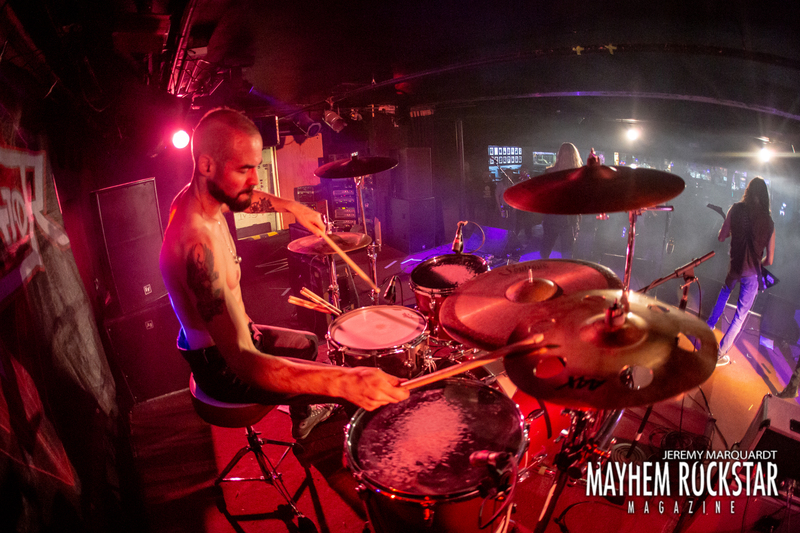 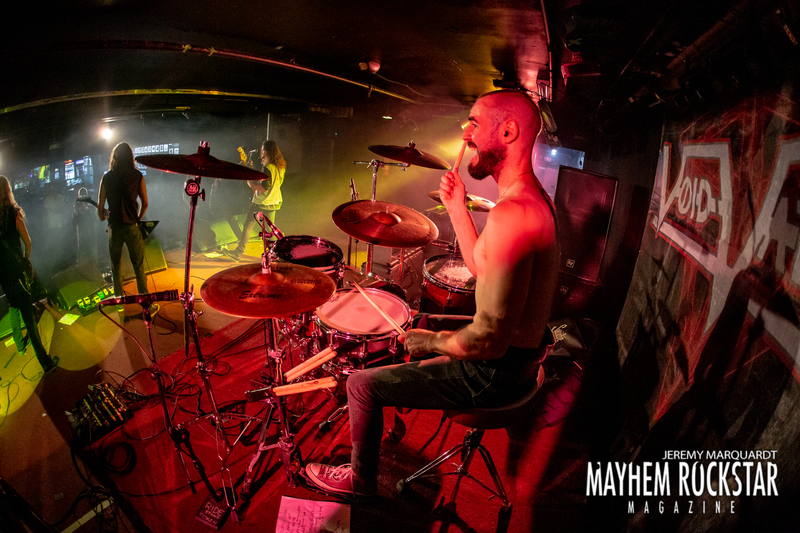 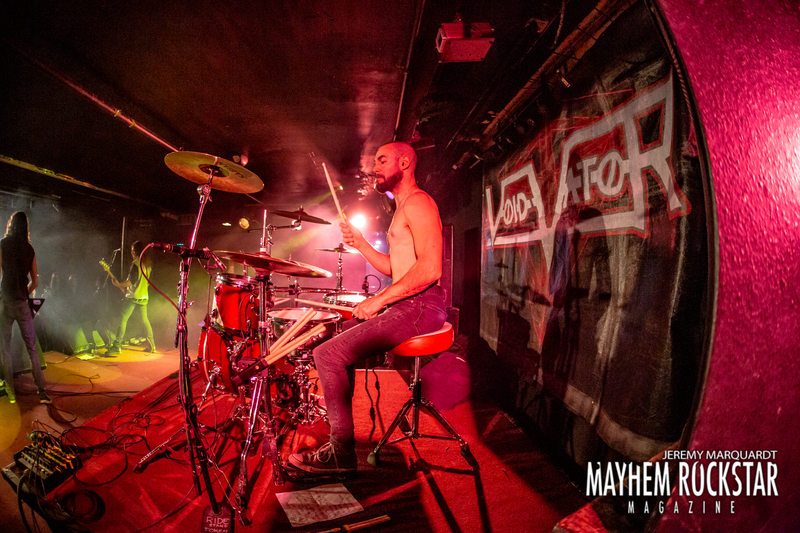 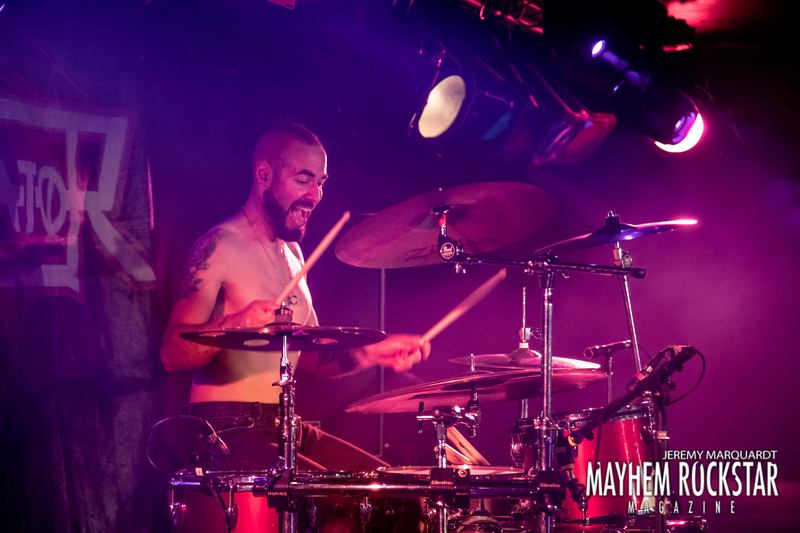 Drummer German Moura pummels his kit with precision as he smiles and looks like he truly has the job of his dreams. 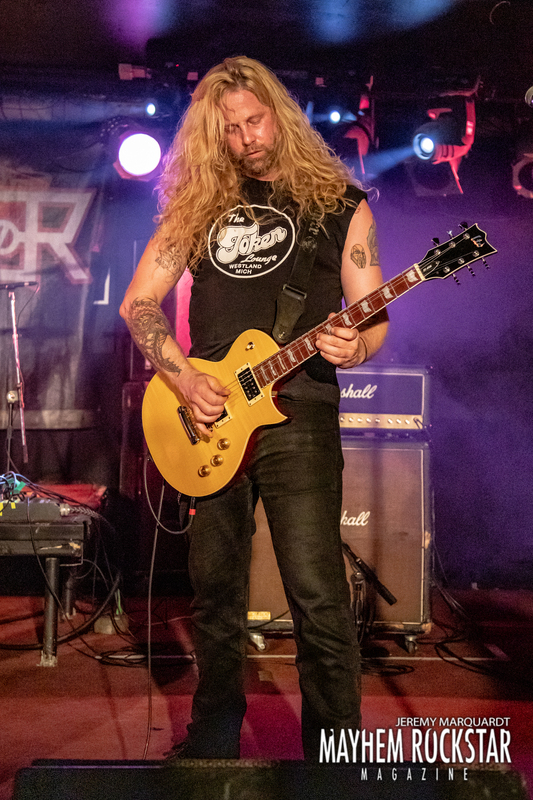 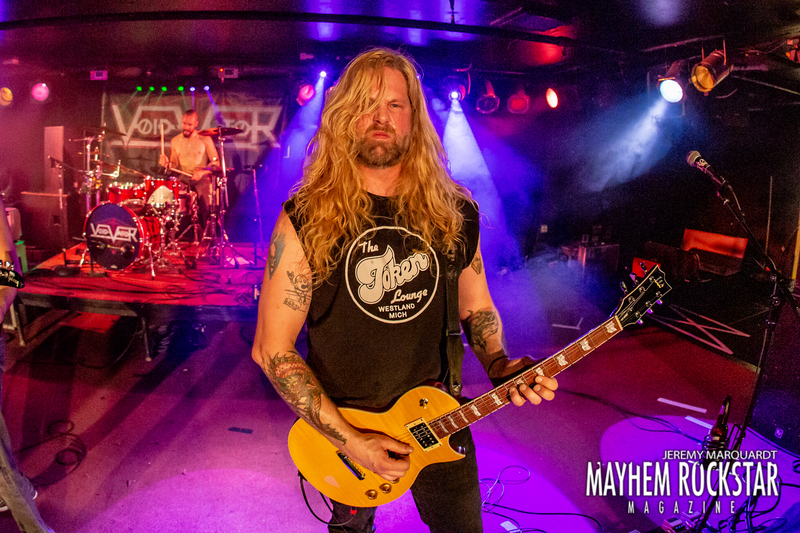 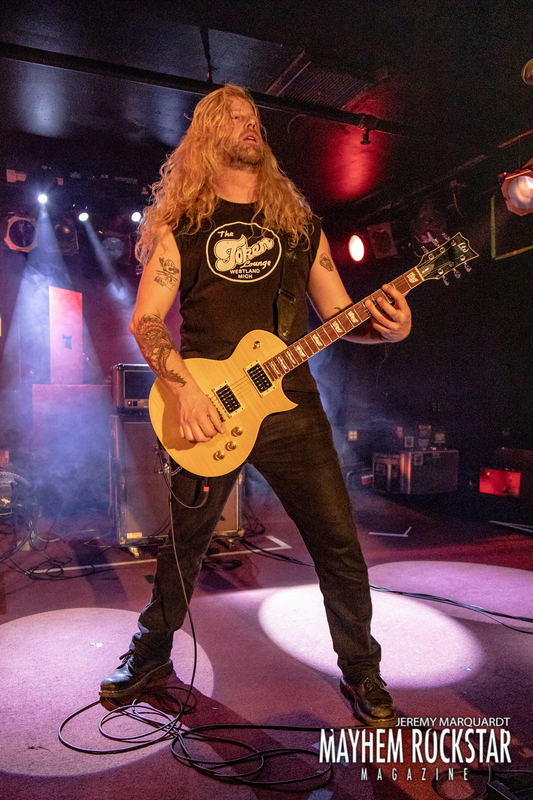 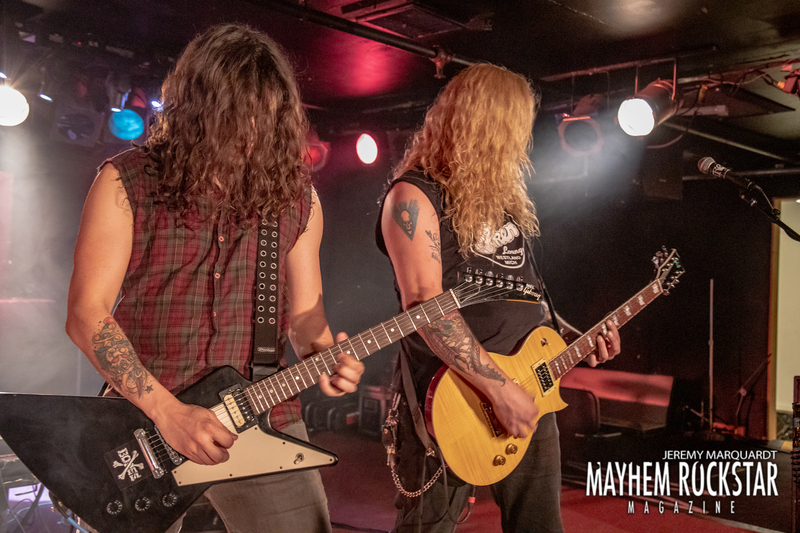 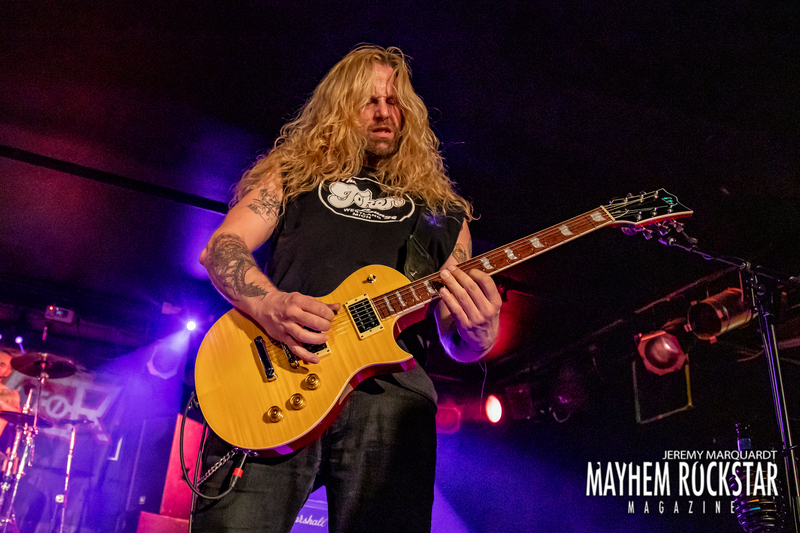 Guitarist Erik Kluiber brings to the table the perfect compliment to Kanopa’s style with his Almost Dave Mustaine like lead style and relentless precision. 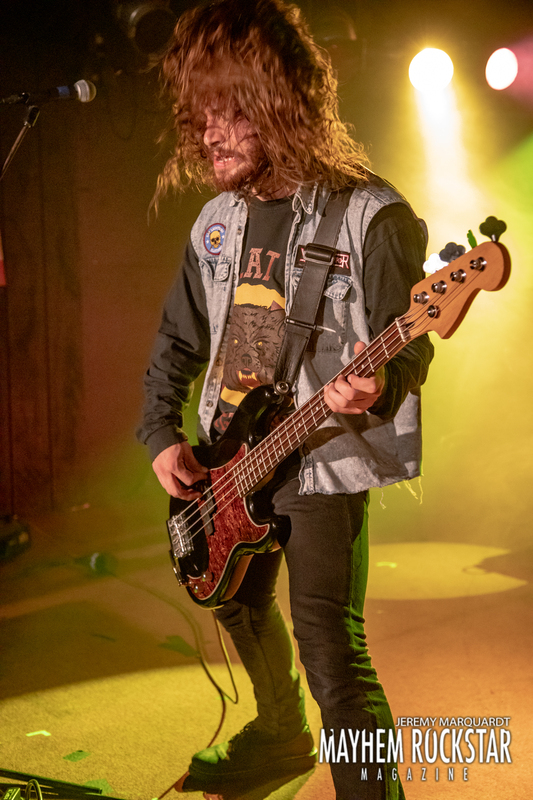 Bassist Sam Harman keeps the groove right in the pocket and keeps the audience engaged throughout. 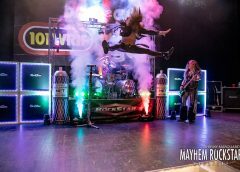 You can clearly see that the chemistry of this band is amazing. 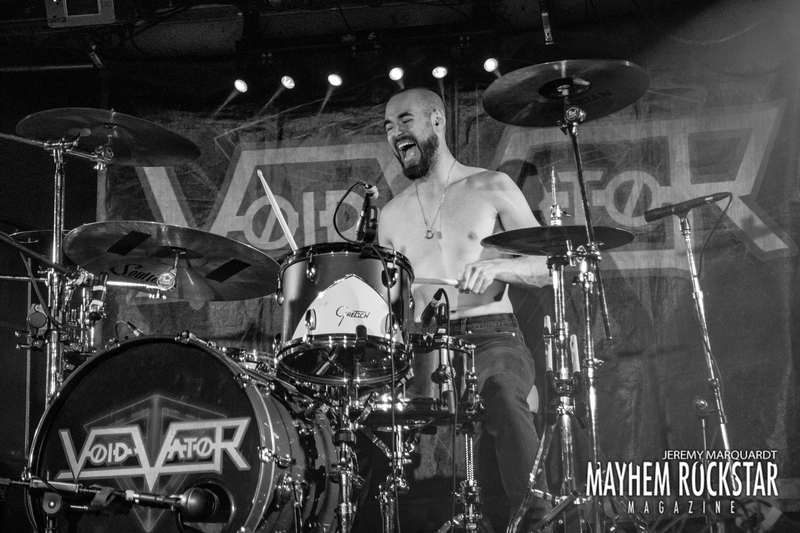 You can also see that they are a hard working band. 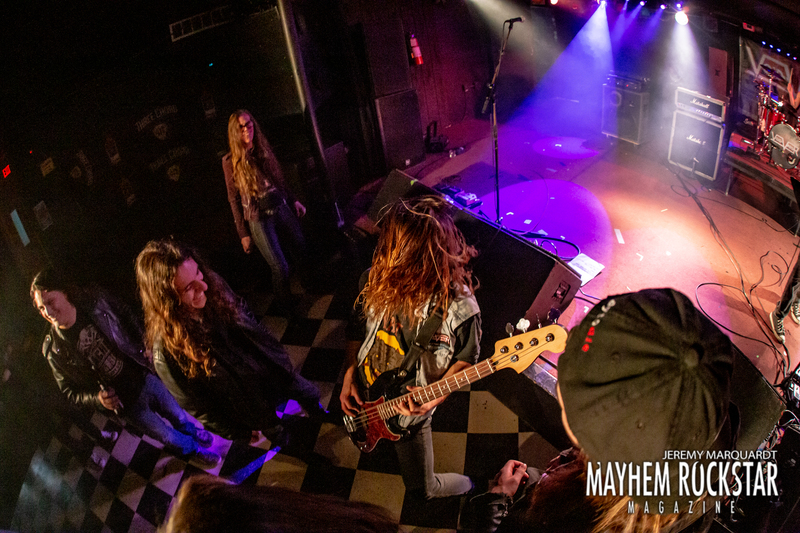 After the set they immediately came to their merch booth and greeted the many eager fans who ventured out on a Wednesday night. 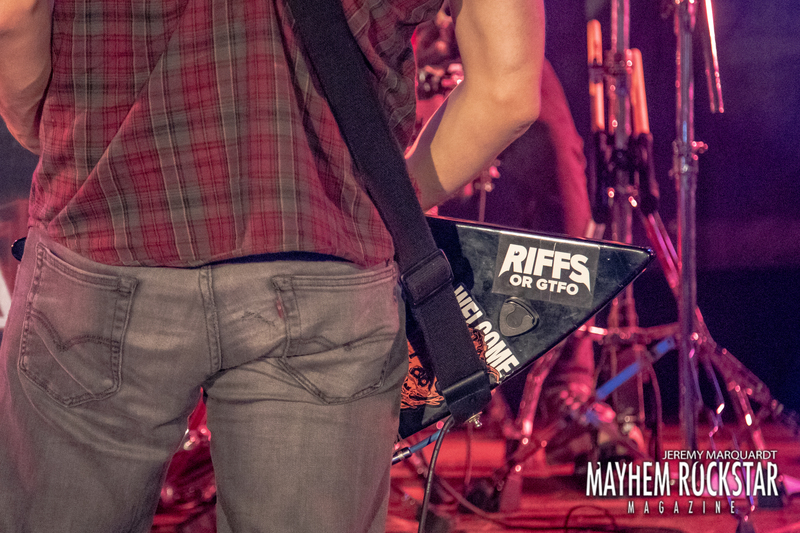 Their merch selection was pretty impressive as well. 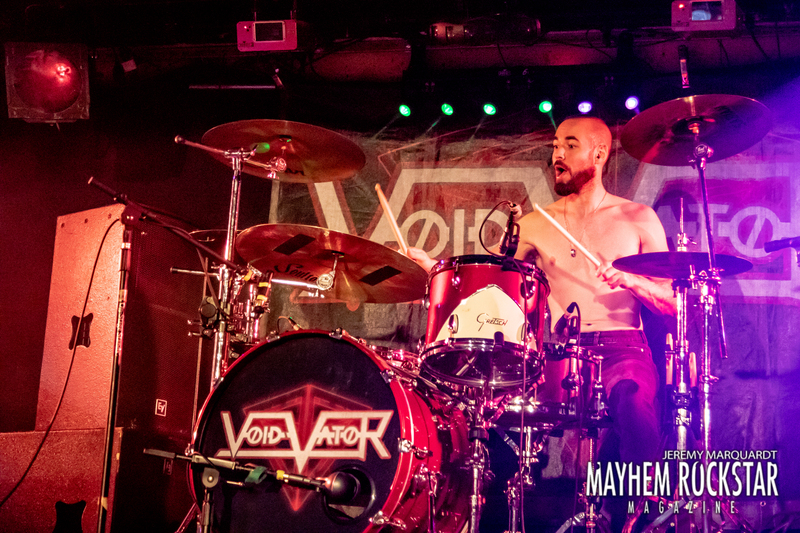 If you’re into no-nonsense TALENT DRIVEN hard rock / metal, look no further than VOID VATOR. 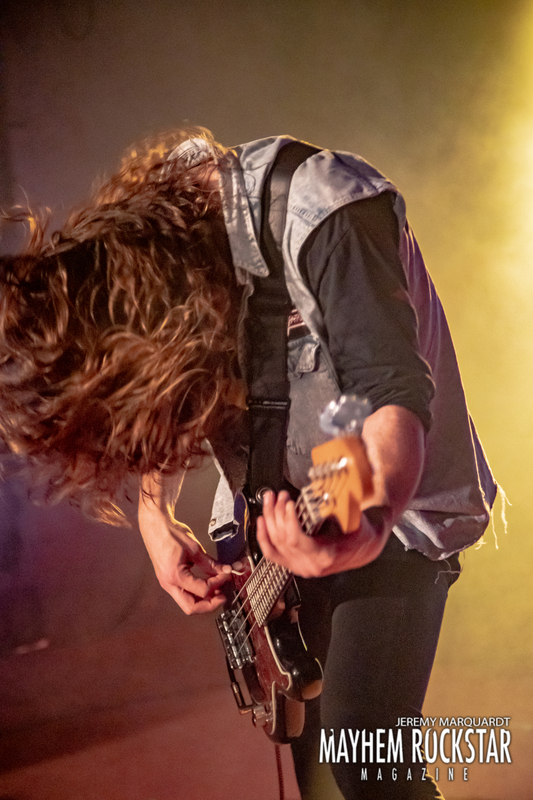 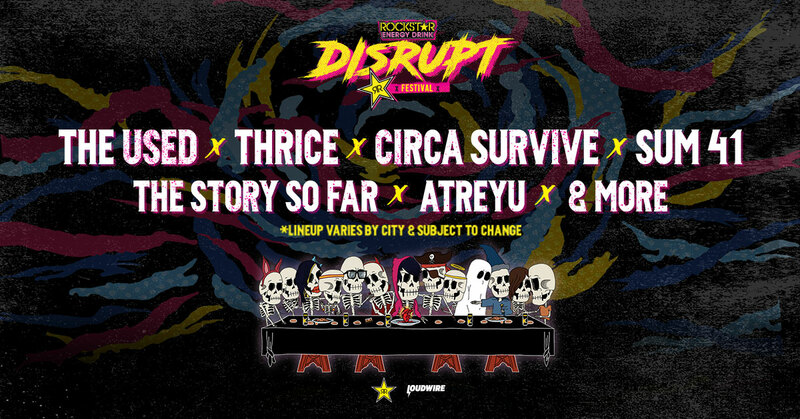 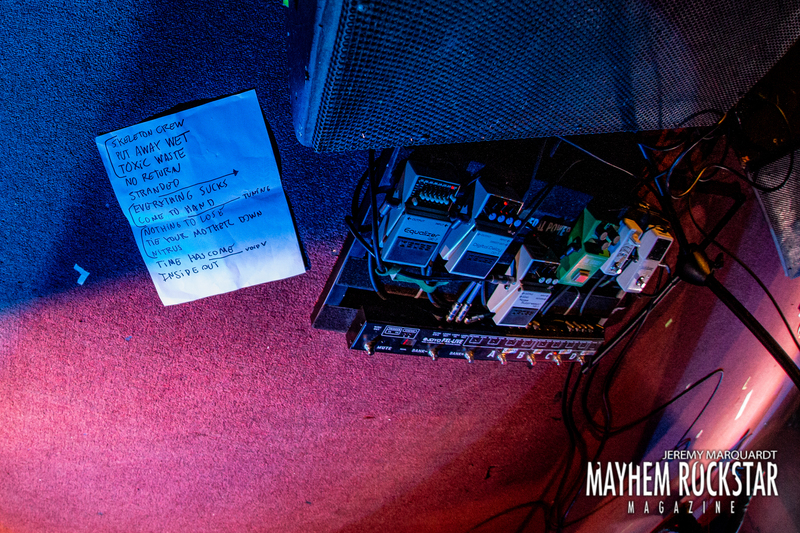 They are exactly what has been sorely lacking in the musical landscape.